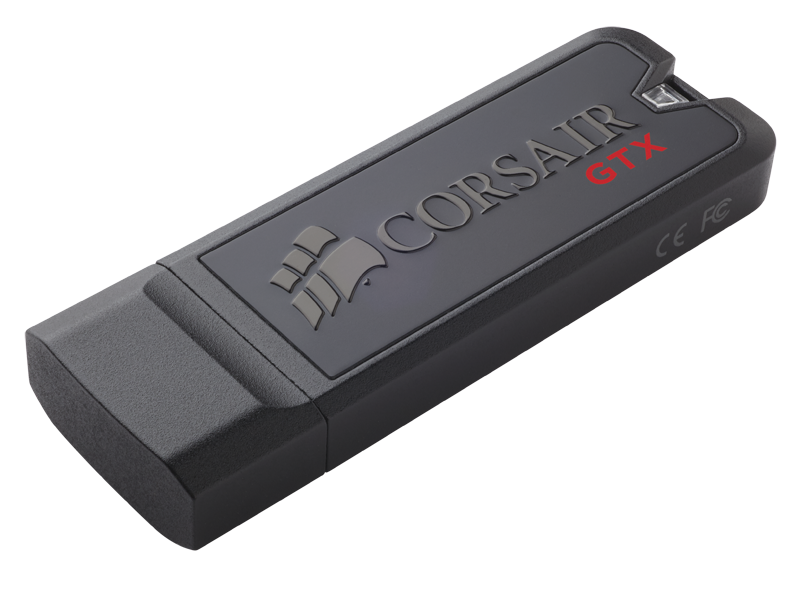 In their long list of new product announcements today, Corsair is also upgrading their top performance SSD drives lineup with the release of the Neutron XT SSDs. We already reviewed the drive and all of its available capacities (240GB, 480GB & 960GB) roughly two months ago, so this announcement is merely for the availability and MSRPs. For those who need a quick refresher, the Neutron XT is the first commercially available SSD with Phison's S10 contoller, which is equipped with Toshiba's A19nm NAND. The Neutron XT didn't set any new records in our tests, but it was a solid middle-class performer and I've been told Corsair is looking into new firmwares to further improve the performance in the future. 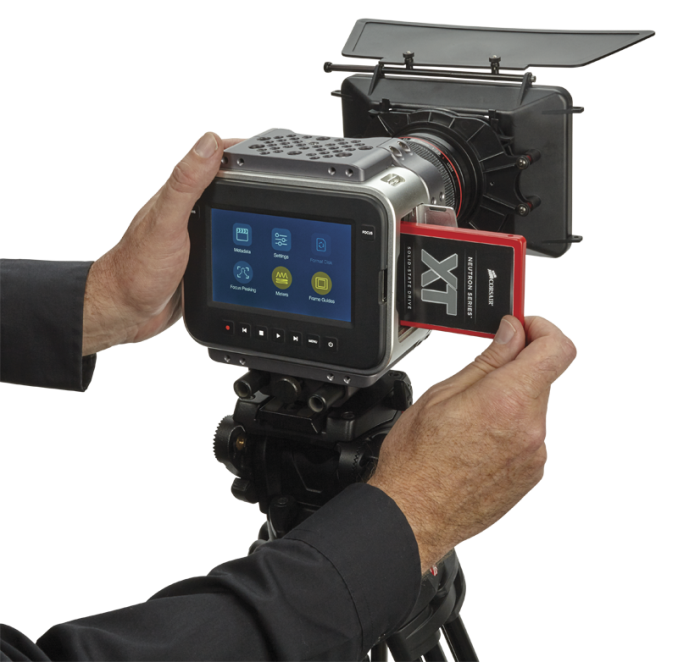 The Neutron XT will be available immediately with MSRPs of $150 for 240GB, $270 for 480GB and $540 for 960GB. I would have liked to see a bit more aggressive pricing because the Neutron XT isn't fast enough to compete with the 850 Pro and Extreme Pro, but as it stands the Neutron XT is a decent option for those who seek for something in between the value and high-end drives. 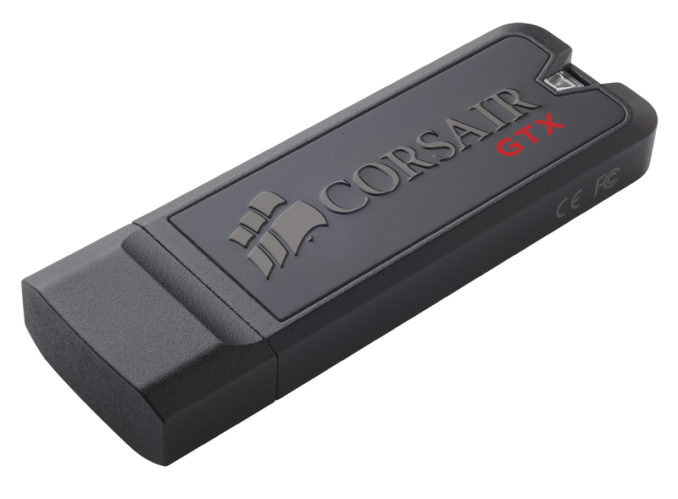 Furthermore, Corsair performed a major overhaul of their USB 3.0 drives. The company released two new USB 3.0 flash drive families, the Flash Voyager Slider X1 and Flash Voyager Slider X2, and upgraded the Flash Voyager GS and Flash Voyager GTX families. The Flash Voyager Slider X1 and X2 are visually similar and both are available in capacities between 16GB and 256GB. The difference is their maximum speed, with the X1 and X2 capable of maximum read speeds of 130MB/s and 200MB/s respectively. 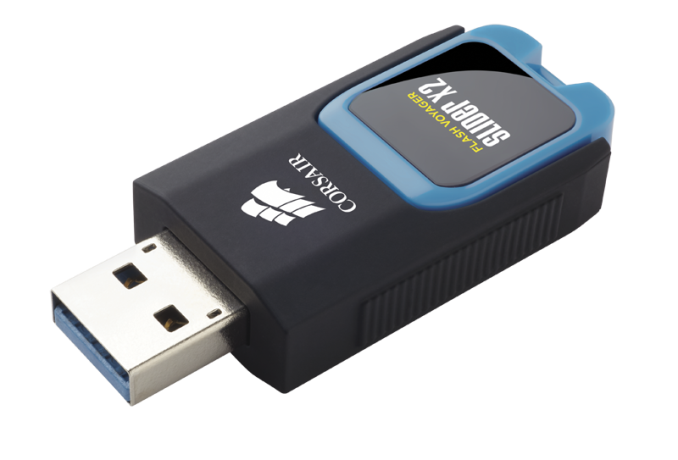 Of course, both drives are backwards compatible with USB 2.0 equipment but their performance will be limited by the USB 2.0 interface. Corsair also upgraded the Voyager GS and Voyager GTX series and reduced their price a little. The Voyager GS is the high capacity series of the company, with the drives ranging from 64GB up to a whooping 512GB. Voyager GS drives have read speeds of up to 260MB/s and write speeds of up to 105MB/s. The Voyager GTX on the other hand is the performance-oriented series. 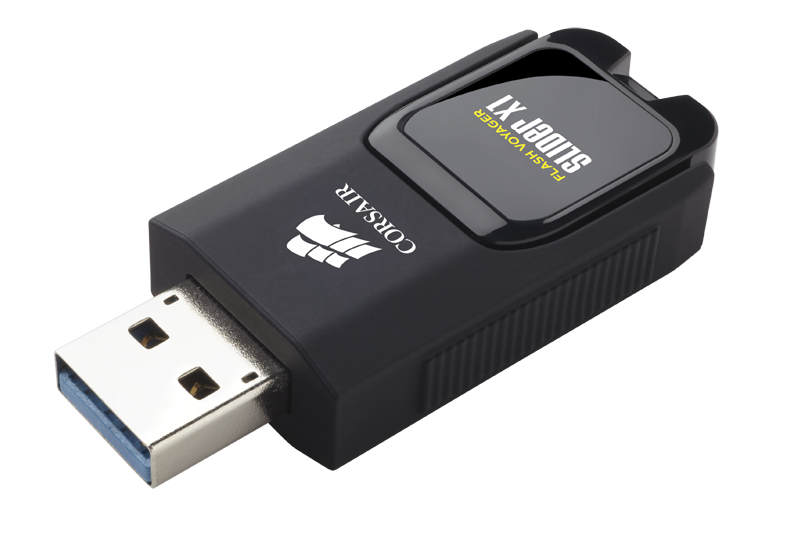 Only two Voyager GTX drives are available, a 128GB and a 256GB version. 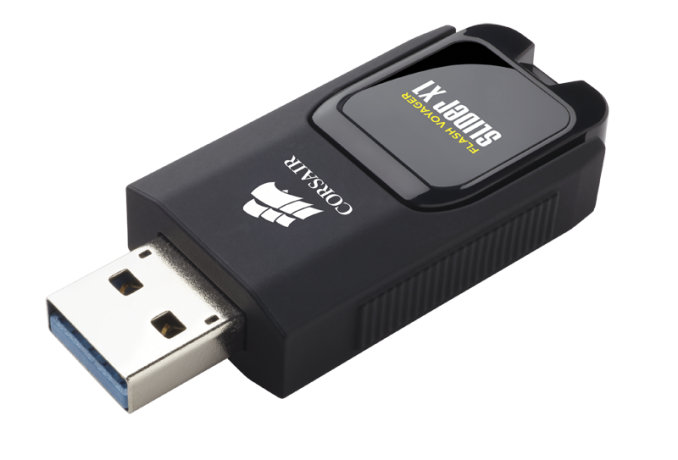 Both drives have an integrated SSD data controller that allows them to reach read and write speeds up to 450MB/s and 200MB/s respectively.